Apple Watch pre-orders open tomorrow, and Apple is bigging up the popularity of its wearable before anyone's even hit the "buy" button. It reckons that the "tremendous interest" in the Watch is going to see demand exceeding supply. Therefore, for the initial launch period, it will only be taking pre-orders online. The whole statement from Angela Ahrendts, Apple's senior vice president of Retail and Online Stores, is below. 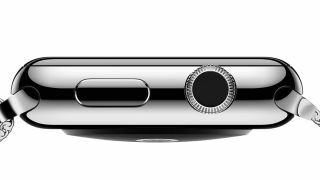 "We are excited to welcome customers tomorrow and introduce them to Apple Watch, our most personal device yet. Based on the tremendous interest from people visiting our stores, as well as the number of customers who have gone to the Apple Online Store to mark their favourite Apple Watch ahead of availability, we expect that strong customer demand will exceed our supply at launch." "To provide the best experience and selection to as many customers as we can, we will be taking orders for Apple Watch exclusively online during the initial launch period." The Watch will be hitting wrists on April 24.